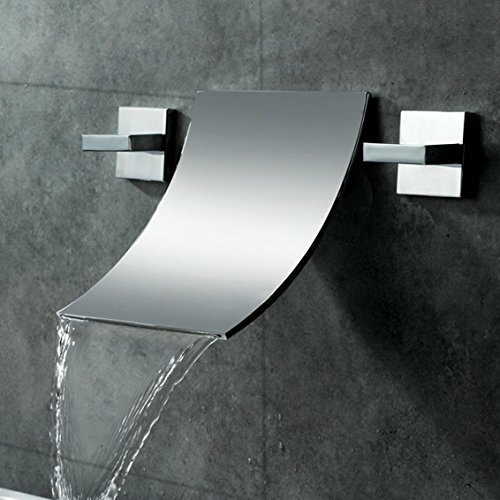 The series of faucets was designed to bring a modern and fun feel into any bathroom. This elegant faucet will light up your bathroom for modern looks and easy to use & install. Constructed from solid brass for durability and reliability, finished in a high quality, corrosion resistant polished chrome. Notice: We ship the orders to the US via express shipping way, and it usually takes 3-8 business days, includes our handling time. If you have any questions about this product by JiaYouJia, contact us by completing and submitting the form below. If you are looking for a specif part number, please include it with your message. 60 Inch Wood & Porcelain Double Vessel Sink Bathroom Vanity Set- "Dunklin"